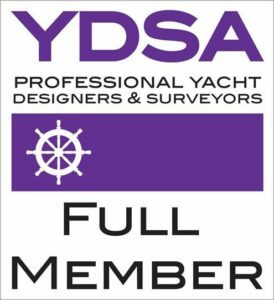 Should you have a dispute or suffer a loss regarding a defective new or used vessel, poor workmanship or related professional services, in many cases it is prudent to request an Expert report. The Expert’s report is an important element of civil litigation as the majority of actions are settled upon the report alone and do not proceed to court. It is essential to commission a qualified Expert who has received the correct training in the production of such reports, has a good understanding of UK Law and is fully coherent with the Civil Procedure Rules part 35. Courts and lawyers need to know that the experts who write reports and appear in the witness box know; how to produce an expert witness report that complies with court rules and helps the court make the correct decision: how to stand up to the rigours of cross examination; and the basics of law and procedure. We hold the Bond Solon Cardiff University Expert Witness Certificate which ensures we have attained a high level of skill and knowledge which has been tested independently and anonymously. 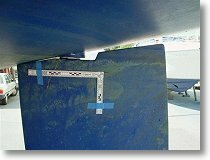 This rudder tube was found to be bonded at an incorrect angle on a new sailing vessel. The mast step of this new sailing cruiser was partially fractured and compressed. 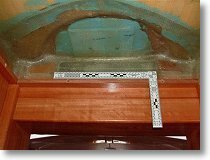 In both cases the correctly formatted expert reports, backed up with quality forensic photographs were sufficient to allow the owners to proceed with litigation and consequently assisted in the rejection of the vessels.